Other common reasons for tree trimming include thinning out for visibility and eliminating weight at the end of the limbs to prevent splitting. 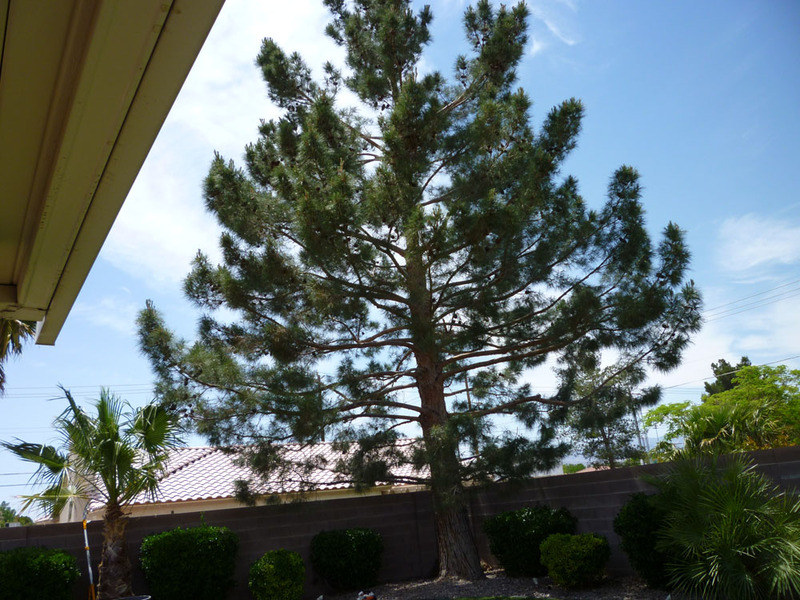 Some Las Vegas trees need to be raised up so all tree limbs are elevated for safety. There are several types of tree pruning and tree trimming known and used in our industry in accordance to the ANSI A300 standards. These are set forth by the American National Standards Institute. Our company abides by these standards. 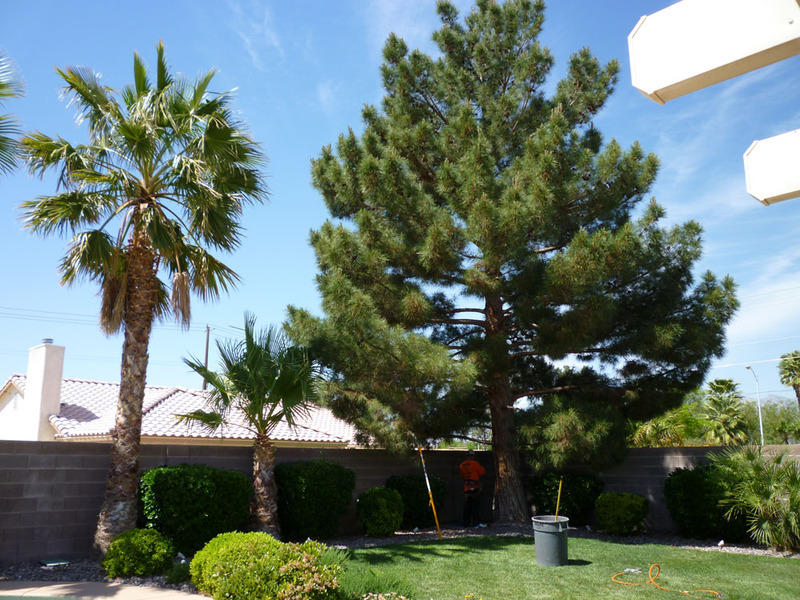 In Las Vegas tree trimming is one of the most common procedures of professional tree service companies. Proper tree trimming can enhance a trees natural beauty and also promote a trees health and longevity. It combines both artistic expression and past experience to make proper tree trimming decisions. the results are safe, healthy, and beautiful trees. In simple terms the way something looks results from the way something works. If we understand its function we can better understand its form. Beautiful plants in nature have a shape or form that compliments their natural growing habits and their proper function in the landscape. 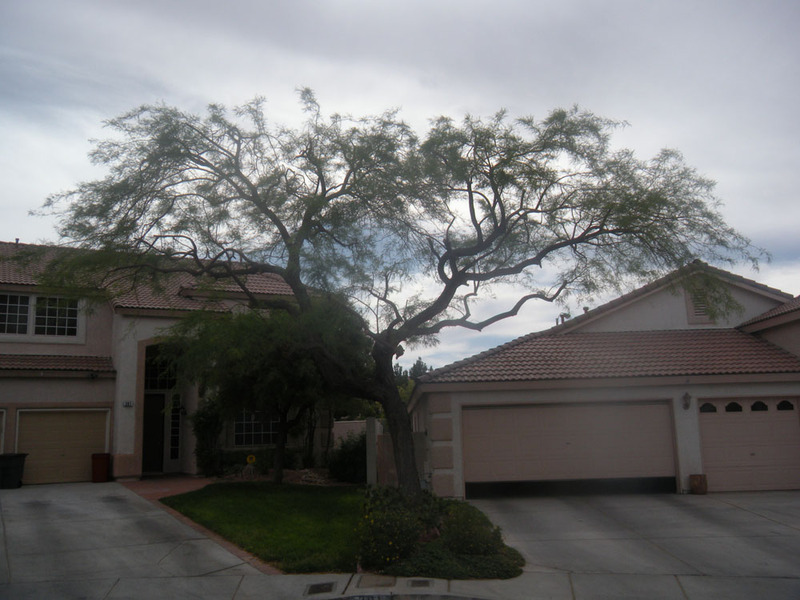 For instance, a Las Vegas Mesquite tree likes to grow its branches in a weeping fashion almost clear down to the ground. 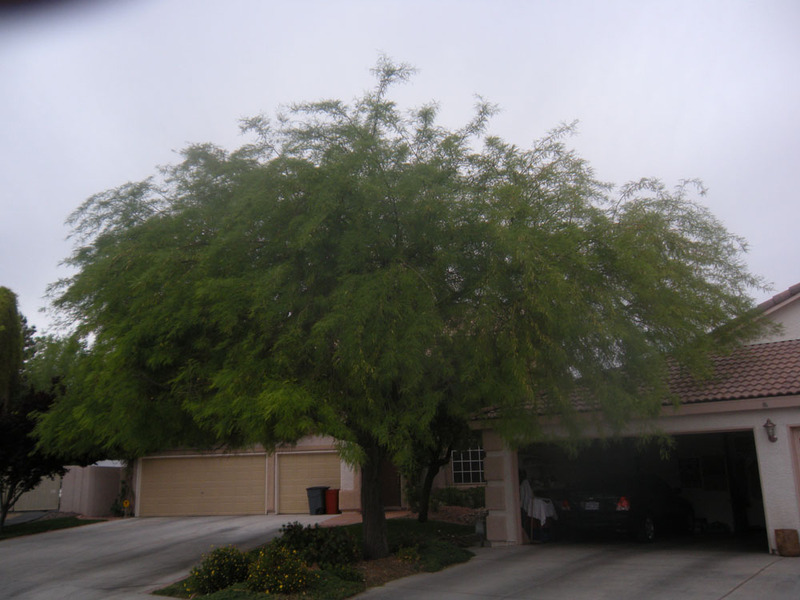 It is best to leave these lower branches because the mesquite tree is very unstable and needs these branches to support the tree upright. If they are removed the tree usually needs tree staking to add support. We apply this principle to all trees trimmed in Las Vegas. When trees have the help of good pruning practices they look their best. Getting the tree trimming science right means knowing proper pruning principles and techniques. Free Estimates – Call Us! We service the whole Las Vegas Valley - from Aliante and North Las Vegas to Green Valley, from Henderson to Summerlin and from Boulder City to Mount Charleston. Here at Affordable Tree Service we pride ourselves on Absolutely Free Estimates. Our experienced estimator will come to your residence or your location - whether you are in Henderson, Summerlin, Aliante, Green Valley, Boulder City, Mt. Charleston, Las Vegas or North Las Vegas.